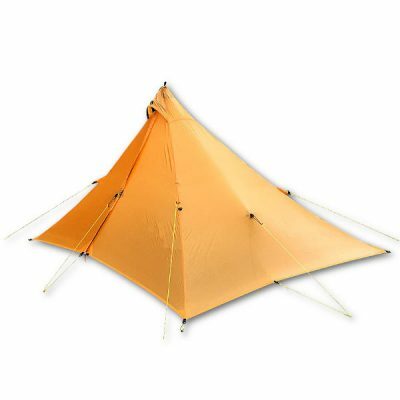 Add MLD Pyramid InnerNets ™ to any MLD Pyramid Shelter to create an ultra-light double walled tent that is both modular and strong in wind, rain, and snow. Dual-purpose, the InnerNet can also be set up as a stand alone for warm summer nights, or as an emergency mosquito shield alongside the trail. 2019 NOTE: All the 2019 InnerNets have the updated Full Arch zippers. One continuous zipper starts near the lower corner, goes up the side and arches over the top peak and back down to the opposite corner. Creates a very large opening for easy in/out. New pics coming soon. This is the bug shelter used by Andrew Skurka on his incredible 4,700 mi | 7,564 km Alaska Yukon Expedition with his MLD SoloMid – for HEAVY insect populations! 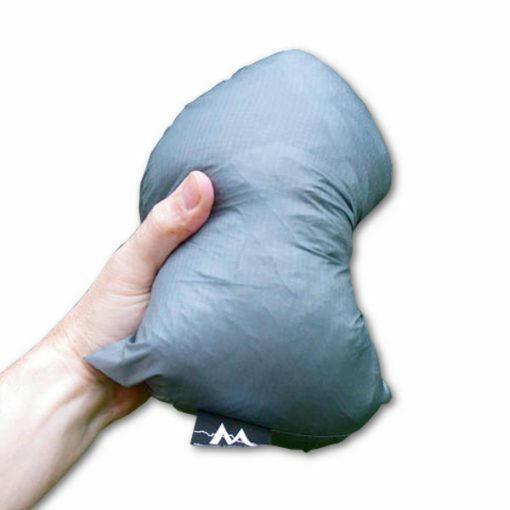 Our InnerNets ™ are constructed with your choice of super waterproof SilNylon or .75 DCF (Dyneema® Composite Fabric A.K.A. Cuben Fiber) floor, with 5 in | 12.7 cm bathtub walls and sturdy corner struts for rigidity. The top mesh is .7 Nanoseeum ® bug netting, to stop even the smallest flying vampires. 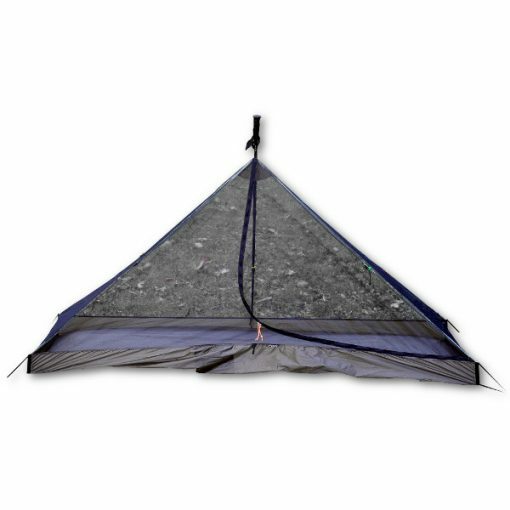 Our InnerNets are designed to fit perfectly under all the MLD Mid Series Pyramid Shelters that are the same size or larger and can fit under many other shelters and tarps! See the “Specs” tab to see which InnerNet(s) fit your shelter! • Intended to be part of a light weight shelter system. • NEW 2019: Full Arch Zippers! One continuous zipper starts near the lower corner, goes upon the side and arches over the top peak and back down to the opposite corner. Creates a very large opening for easy in/out. • Two full length trekking poles can be used in an inverted V outside the Solo InnerNet. Two inverted poles plus a 12″ pole jack each will work under a DuoMid. • About 5″ separation from netting wall to the pyramid outer wall. • DUO & SUPER: Cinch cord open top lets you extend the center pole through the InnerNet peak. Use an MLD Pole Jack and use the trekking pole’s tip up with a Pole Jack on top so the soft trek pole handle is on the floor. • DUO & SUPER: Reinforcement of Dyneema X in the center of the floor on the Duo and Super for using a trek pole inside and through the top of the InnerNet to support a Mid. 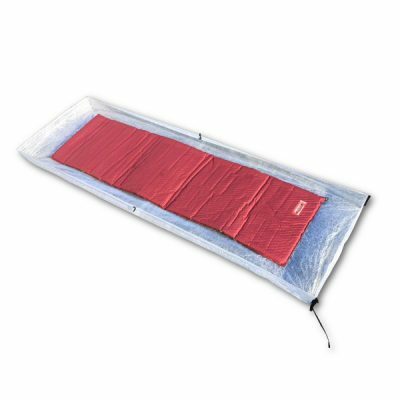 *Will fit up to 6’1″ | 1.85 m person with a long sleeping bag, head and foot will touch lightly at each end.NOT recommended for users over 6’3″! FITS: All current MLD MIDS *Except* standard SoloMid. 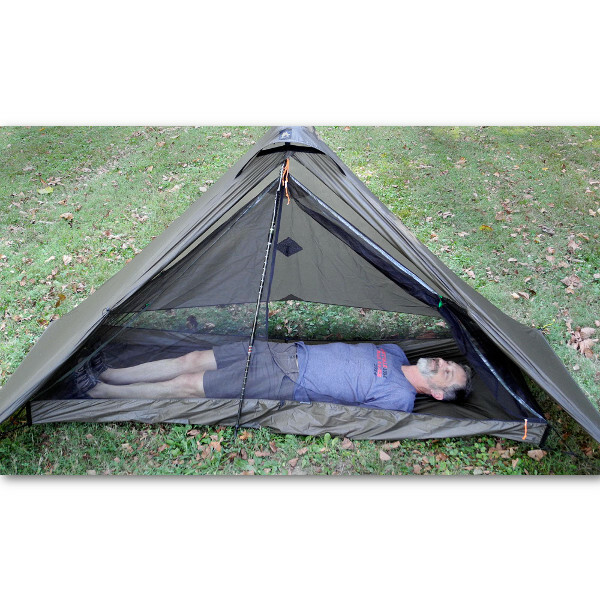 * Will fit up to 6’4″ | 1.93 m person with a long sleeping bag. * Will fit two people. If either person is over 6′, or uses a long bag, better to lie head-to-foot for more room. NOT recommended if either person is over 6’2″. *Palace for Two – Great for Three – Four can get a bit friendly! The very first time you set up your Innernet with your Mid or TrailStar, it will take about 10-20 mins to get the pitch correct, but after the corner bungee loops are tied and adjusted the InnerNet and pyramid shelter will mate and set up quickly! 2. Then insert the Innernet and clip it to the inside apex loop. If you pyramid is set high, you may need a short loop of bungee to connect the InnerNet Apex to the shelter. On the DuoMid and SuperMid InnerNet, the extra top apex cinch bungee is used to reach the Pyramid’s clip. 3. Note the distance from each corner of the Innernet to the outer pyramid shelter and the length of bungee loop needed to reach its corners. 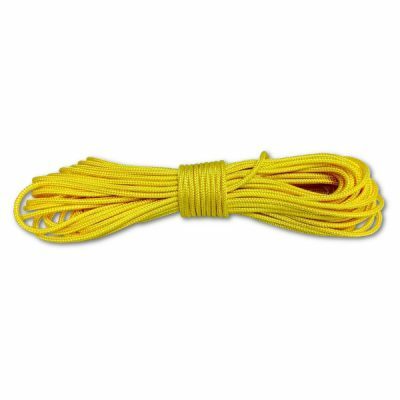 4: Cut and Tie 3/32″ bungee loops to the Innernet corners. 5: Adjust the tension on the Innernet floor by lengthening or shortening the bungee loops. 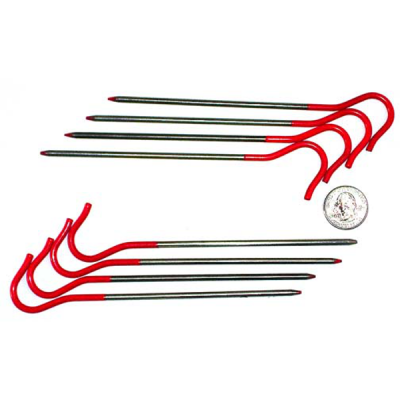 6: You may use additional stakes for the InnerNet corners or clip them to the shelter stakes using the long bungee cord loops of some guyline. 7. We highly advise you also use McNett ZipCare on the zipper when new and then every 30 days of use for a long life. 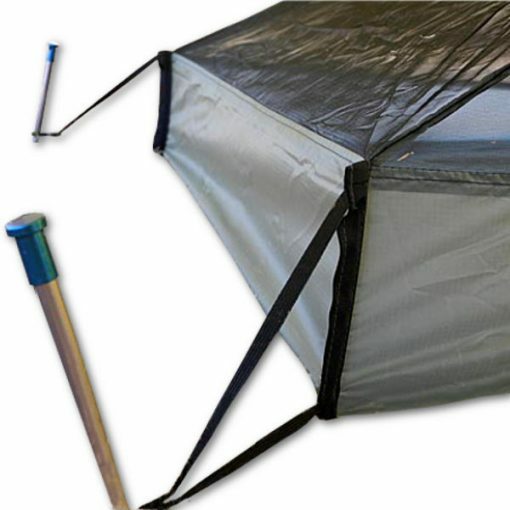 To give you various pitch options in the Mid Series Pyramids – higher off the ground or low – The short elastic corner tie-out loops (with hooks) on the InnerNets are not long enough to fit any of the shelters exactly. The hooks can be moved up or down to create the best angle for various pitches- just slide the small hook higher or lower to change the angle. NOTE: DO NOT OVERSTRESS THE CORNER TIE-OUTS. ONLY PULL AND STAKE THEM TIGHT ENOUGH TO GENTLY FORM THE FLOOR’S SHAPE! You can use SilNet Silicone Seam Sealer on the inside corner seams and on any floor stitching. DCF versions are seam taped and do not need additional seam sealing.